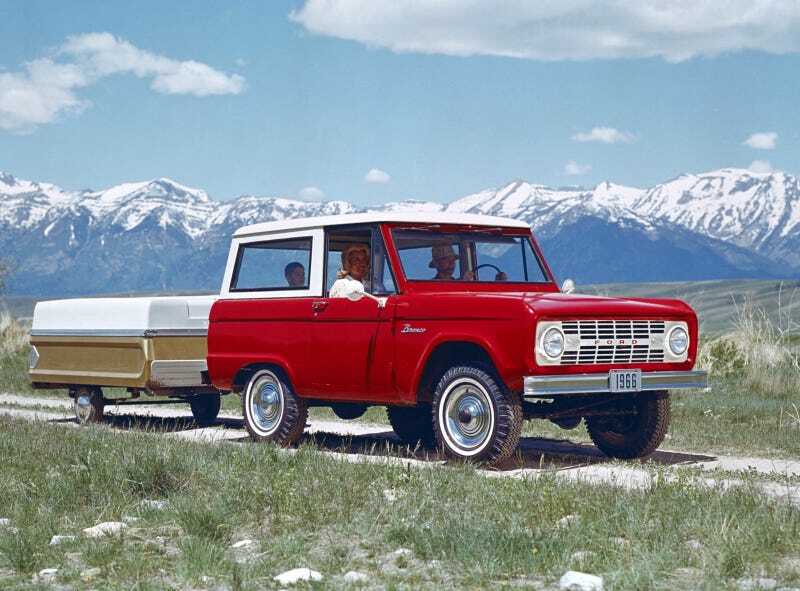 Did you know Ford announced around Father's Day they'd be selling complete reproduction 1966 Ford Bronco bodies? Neither did we, but now we know they're headed for a public debut at this year's SEMA show. The all-steel bodies are being produced under license from Ford Component Sales and sold through the California-based Dynacorn, which has been working with Ford on vintage Mustangs for the last few years. The '66 Bronco is one of the company's most iconic vehicles and a darling of the off-roading community — meaning the trucks get bashed up and twisted into pretzels with an unpleasant regularity. The new body will debut at this year's SEMA show, hoisted above the Ford stand, the automotive equivalent of looking a race horse in the mouth.